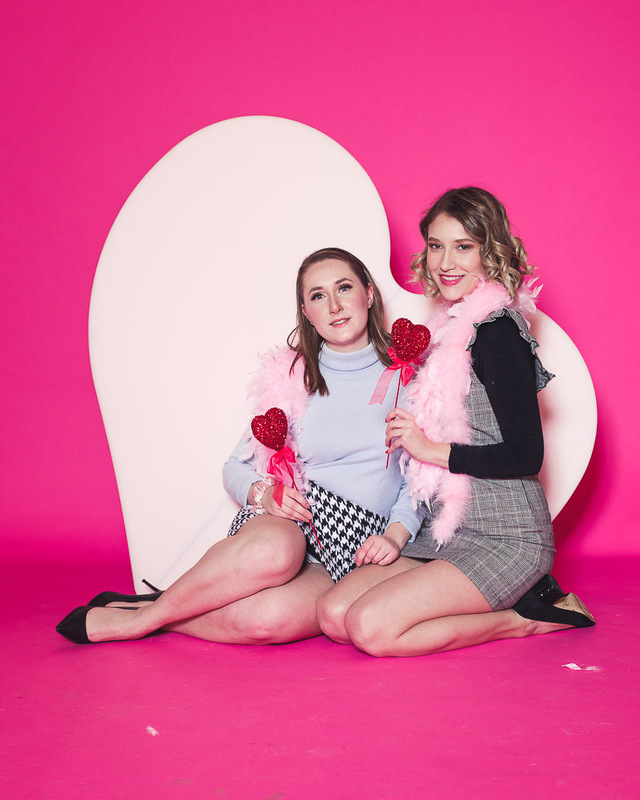 Galentines 7 Rings Vibes — Darline and Co.
7 Rings music video by Ariana Grande just dropped and after watching it, it made me really want to throw a BFF mini session. I had a giant heart custom made out of foam after I saw Kim Kardashian West’s KKW fragrance campaign. The heart was originally a soft pink but I was able to photoshop it to be a coral pink with text over it to mimic KKW’s fragrance campaign vibes. Should I do more themed shoots for best friends?